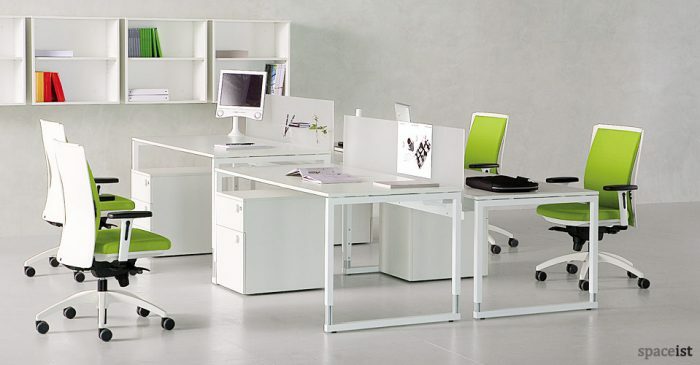 High quality lacquered metal structure available in a large selection of RAL colours. 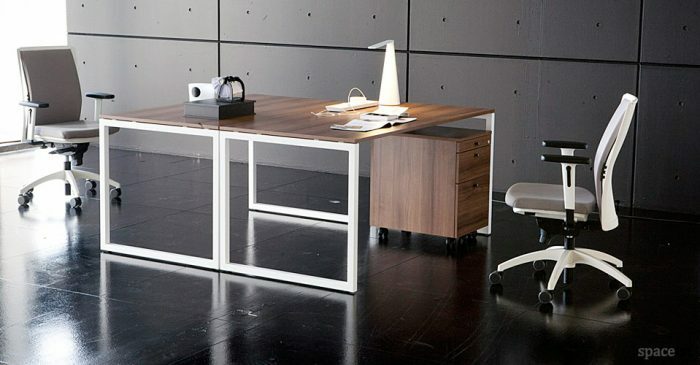 The basic curved desk is supplied in a choice of sizes. 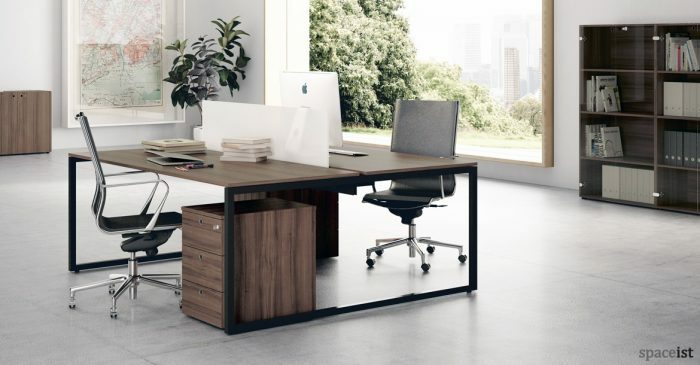 The Hi-line desk has the option of a black linoleum desk top finish as shown and can also be supplied with special chrome finish edging. 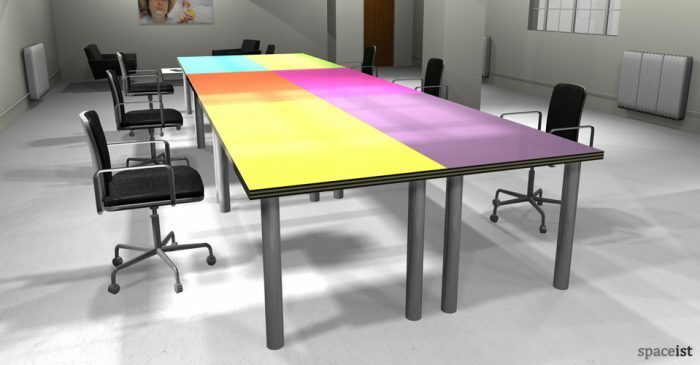 Colourful laminate topped office desks with a wood edge. Hard wearing Laminate top comes in over 100 colours.